When you run the tests, click on red test button. It will tell you want you need to fix. You have some code issues. 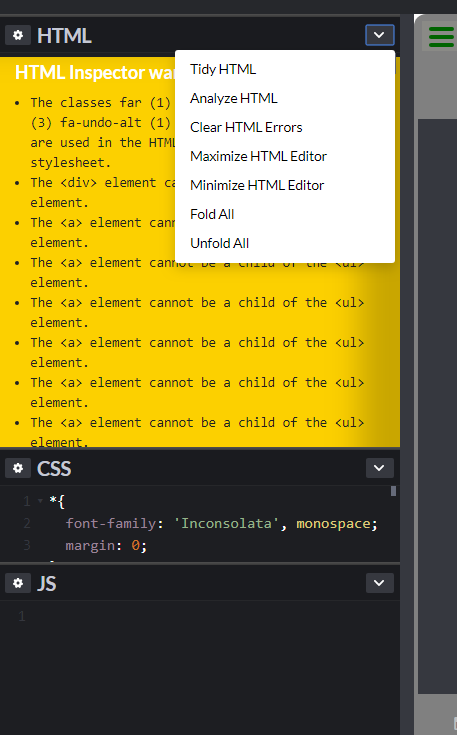 Good thing is that codepen will analyze that for you. because you have the list item nested inside the nav link it is throwing the test off. nest your nav link inside the list item or better yet get rid of the list all together you don’t need it. Thanks for the tip. This helped me to pass al the tests.